Then there’s the band that had an idea of creating a type of music that seems to have been forgotten: a raw, honest and heartfelt sounding music. The band - who seemed more like a gang of mates chancing their arm than any normal career-orientated band - whose early releases turned the heads of music journalists and fans of ‘traditional’ British, white-boy guitar groups alike, soon had their debut album ready for release. The journos gathered eagerly for the pre-release interviews, no doubt expecting the band to trot out the usual bullish and bold claims, that such groups make, about how the new album will conquer the world - ‘we believe it’s the best album ever made’ and/or ‘we believe it’s better than anything around at the moment’ etcetera, etcetera... So when the question was asked: ‘what’s the new album like then?’. None of the journos could have expected the answer that came: “We believe it’s one of the worst albums ever made”. What fresh madness was this? A band slagging off it’s own debut album? More than that, they went so far as to instruct the public not to buy it! Leaving a baffled and bemused audience behind, the band retreated into the shadows. That was 1990 and The La’s never did make another album. Spool forward nearly ten years then, and - at last! - The Beta Band pull the same trick. What could be the reason for such folly? In the case of The La’s it was Lee Mavers’ perfectionism - or should we say ’anti-perfectionism’? - that drove him to unreasonably attack his great album before thumbing the self-destruct button. The Beta Band however were just being sadly honest about their duff album with which they were rightly disappointed. Instead of self-immolation though, they went away and had another run at it. So. ‘Hot Shots II’ then. What’s it like? Well, it’s - would you believe - a neo-Psychedelic Folk-Rock album for the 21st century. Basically, The Beta Band are doing to British Folk what the likes of Sparklehorse are doing for Country music in the US. Namely taking a once proud but now de-clawed and bankrupt genre and breathing new life into it; re-claiming it from the old farts who have long misunderstood it and turned it into a joke; making it vital once again. Yes, this is no retro wallow, nor is it a re-creation of the late sixties/early seventies mellow-yellow vibe. Okay, so Steve Mason’s vocals and lyrics are a bit heavy on the brain-fried, hippy-dippy side, but his far-out wibbling still manages to be both charming and oddly affecting: “If all the things I said right now, for both of us, came true, / who would look for me when I disappear in you. / It‘s never very clear just who‘s in control, / it‘s all so pitiful, what‘s the point of it all?“. Like Love‘s Arthur Lee, there seems to be a form of intent hidden behind his strange poetry. Somewhere between producer C-Swing’s MOR sheen and The Beta’s ramshackle looseness, the music seems to have hit a happy medium. The album is packed to the rafters with ideas: R’n’B drum patterns, shiftless dance beats, jangling guitars, a re-occurring, sad, lilting piano motif and no end of samples, wheezes, beeps, clicks and whistles. The restless inventiveness never lets up. More often than not there is a Stone Roses-esque baggy shuffle to the songs. ‘Alleged‘ and ‘Human Being‘ recall the blunted loucheness of Happy Mondays circa ’Pills’n’Thrills and Bellyaches’. The hazy ’Squares’ samples “Daydream‘ to far better wide-eyed, trip-out effect than I Monster‘s recent single. And so on, and so it goes... 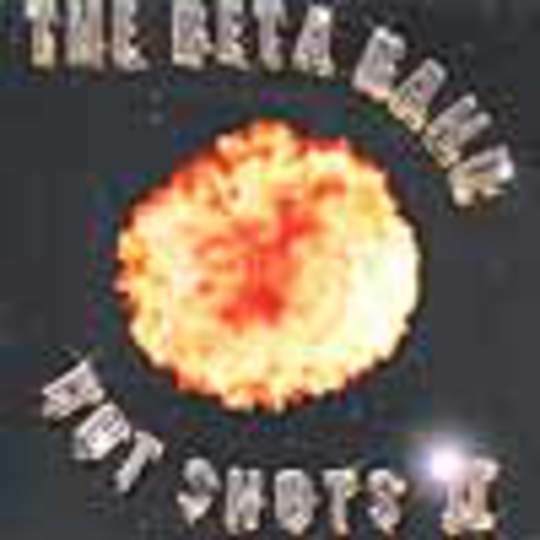 The Beta Band have tipped up pop’s lucky-dip barrel and poured it’s contents into their album. Somehow it works. And it works beautifully. So. ‘Hot Shots II‘ then. What’s it like? Pfffff... a mad, kaleidoscopic mish-mash of everything that’s gone before but nothing you’ve ever heard in your life. If you want to banish the dark clouds from the sky, to the let the sun shine once more, play ‘Hot Shots II‘. It’s a great album. If it wasn’t the Beta‘s would have said so by now.